Participants helped to raise awareness and money for Children's Miracle Network Hospitals through dancing, games and entertainment on April 6. 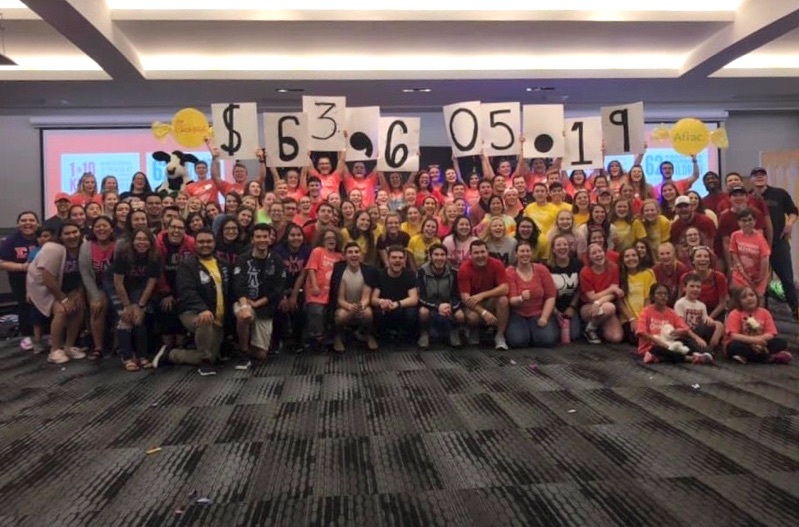 Dance Marathon 2019 raised more than $63,000 for charity. This year's UNO Dance Marathon surpassed its original goal by raising $63,605.19 for Children's Miracle Network Hospitals. The money raised by UNO Dance Marathon will go to the Omaha Children's Hospital & Medical Center, a nonprofit organization caring for children since 1948. It is the only full-service, pediatric healthcare center in Nebraska, providing expertise in more than 50 pediatric specialty services to children across a five-state region and beyond. UNO Dance Marathon (UNODM) is a student-run organization that raises funds for Omaha Children's Hospital & Medical Center. UNODM raises money throughout the academic year leading up to OMAthon, their big event in April.